As a One Piece fan there has been a thing that has been bothering me for quite some time. And that is how will Luffy defeat Kaido? And of course, as a fan, I had to go do some research. I’ve come across some really crazy One Piece theories on the internet. And I do like some, however, I have to say they are all wrong. But, before we get to the part where I explain why they are wrong. I just want to say that this is not a post about how Luffy will defeat Kaidou, or how Luffy will find One Piece, or what One Piece actually is. This post relates to all One Piece theories ever made and those that will be made in the future. See Also: Check out Luffy’s new shocking bounty! Why are all One Piece theories wrong? If you guys have not been following the latest interviews with Eiichiro Oda then you have probably missed out on a great hint. In his last interview, Oda clearly stated that One Piece is actually some sort of a treasure, which caught everyone’s attention. However, there was this one small detail that I think most people skipped. And that is also the reason why I believe all One Piece theories are wrong. Oda noted that he had thought about the manga’s ending since he was still in college. In addition, the show’s host Sanma Akashiya also asked Oda what would happen if a fan managed to guess the same ending that Oda is writing. Oda replied that he would change the ending. Oda replied that he would change the ending. And that tells us a lot about everything that has been going on with One Piece. So far, Oda claims no one has guessed his ending, but if they did, he would change it. And that is the part that really caught my attention. 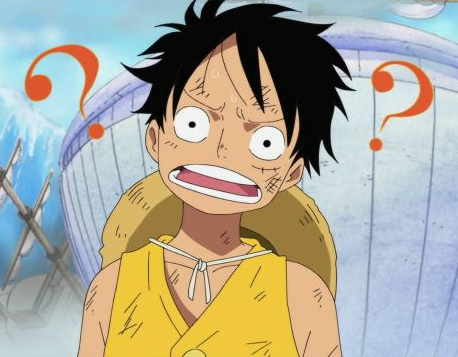 If Oda is following popular One Piece theories about the ending, why wouldn’t he follow other theories about it as well? Whenever a fan might have guessed what Oda is going to do, there is a huge possibility that he saw it and changed the flow of the story. With all of this, we can safely Conclude that Oda has been and will continue changing his story based on trending One Piece theories. And, due to this, we will probably never be able to guess what will come next. However, we can, and we are, as fans and theorists, affecting the flow of the story. If we assume that this is true, then every time someone predicted what will happen, he/she also changed the direction of the flow. One Piece is not only the work of the author, but it also has influence from its fans. If you like this post, follow us on Instagram for daily anime content.